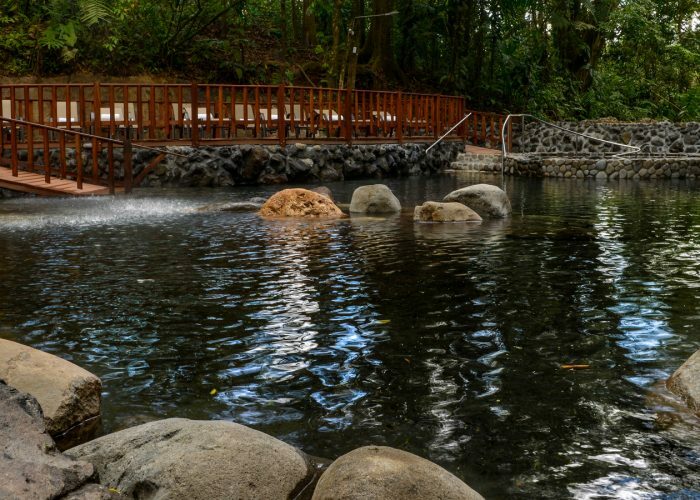 You simple can not come to La Fortuna without seeing and enjoying one or many of the hot springs pool facilities that are available. 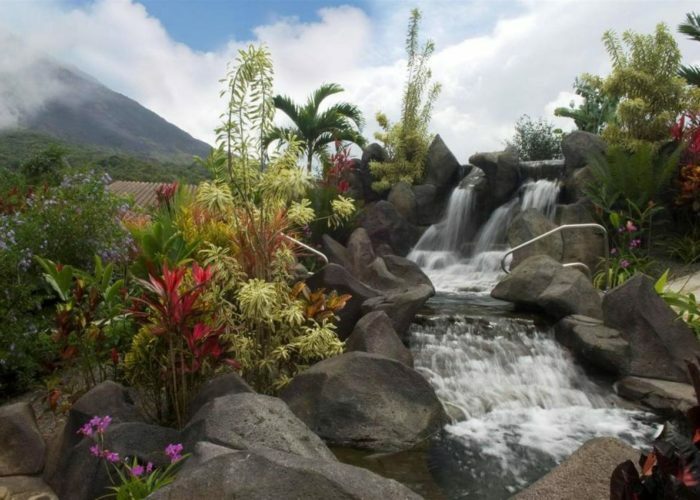 Which ever place to choose to go to you will enjoy a range of pools with fresh natural hot water that is pumped directly and daily from the rivers running through Arenal Volcano. This water contains many different kinds of natural minerals, and has healing properties that is great for your skin, hair and body. La Fortuna has many hot spring water parks available for many different needs and requirements. To reserve any of the option , please send us the information through the form at the end of the page. The date of the service is very important and if you have childrens the ages of each one. 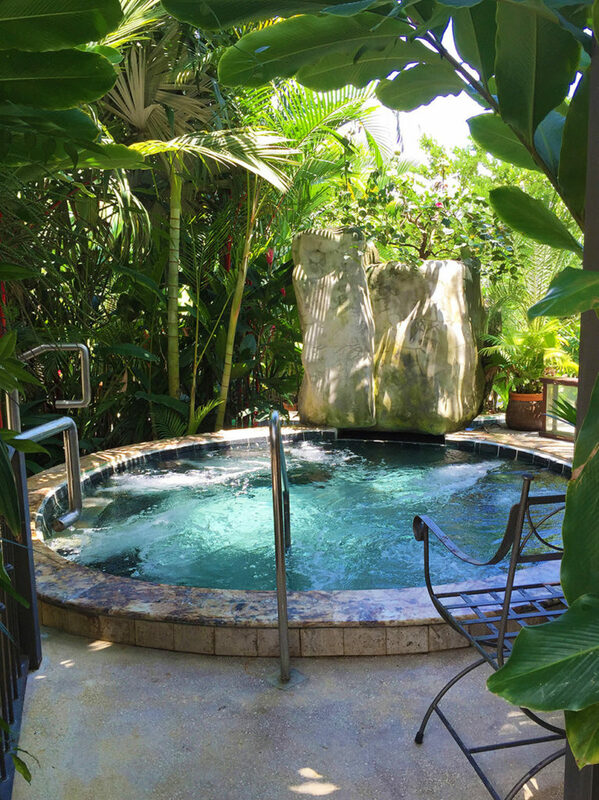 We will contact you back with the details of your reservation and payment options. 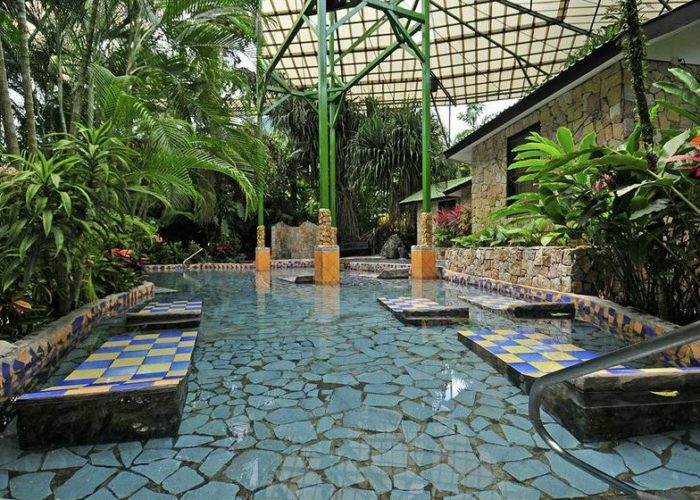 Baldi Hot Springs Resort really is a 5 star luxury place that will have you in awe of it’s gardens, pools and facilities. 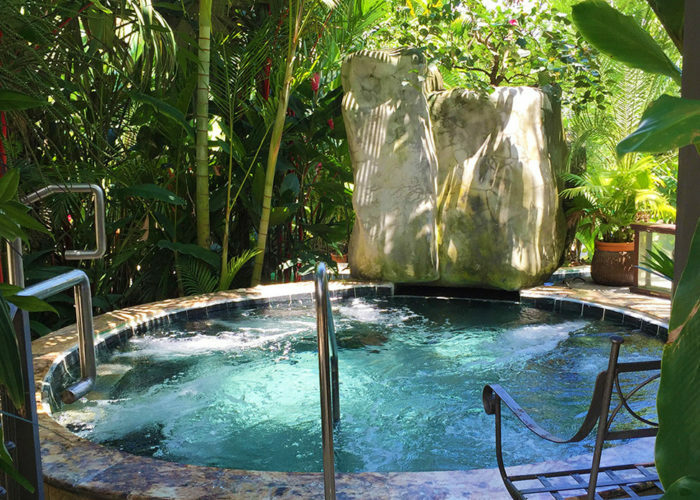 You will honestly feel like a million dollars after spending the day or night here. It is also a great option for families with kids. 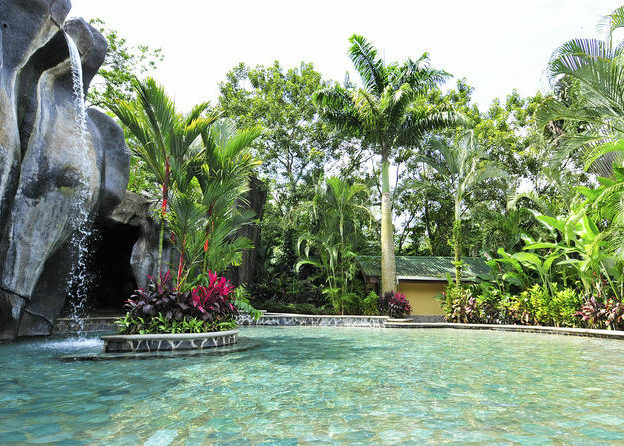 It offers many, many man made small and large pools and amazing rock sculptures and even a little cave steam room. 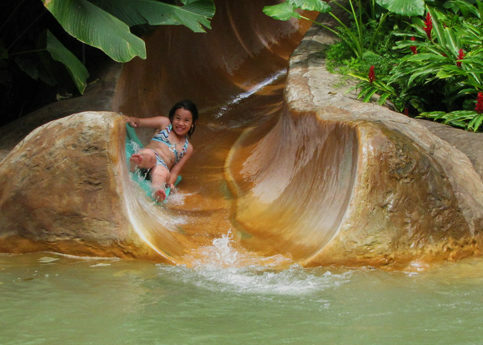 There are three amazing and fun water slides (best for older kids and teenagers) that land in a large hot pool. 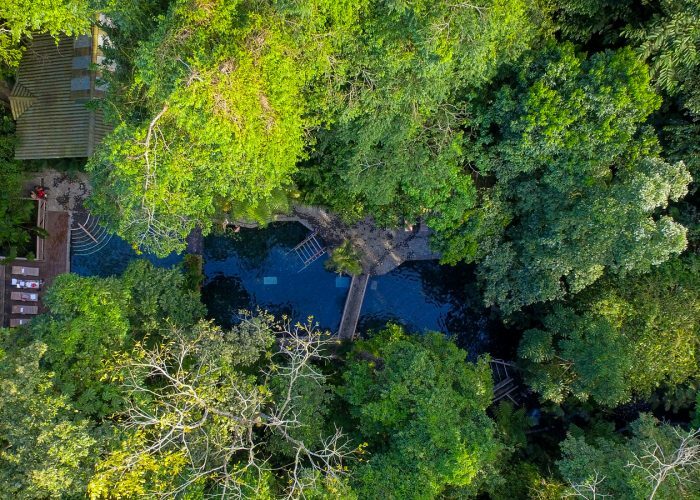 There are lots of pools with various temperatures, some with music, some with swim up bars, and at the top there are some quiet peaceful hot springs pools with mosaic beds. 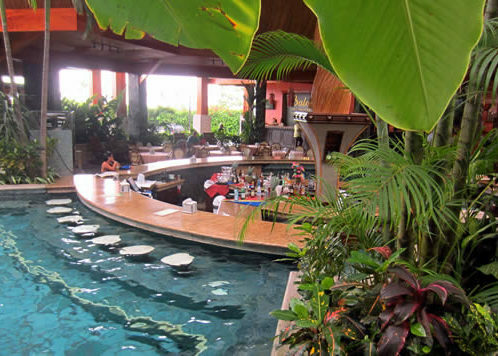 Baldi also offers you the opportunity to enjoy lunch, dinner or both at the amazing open restaurant they have there. 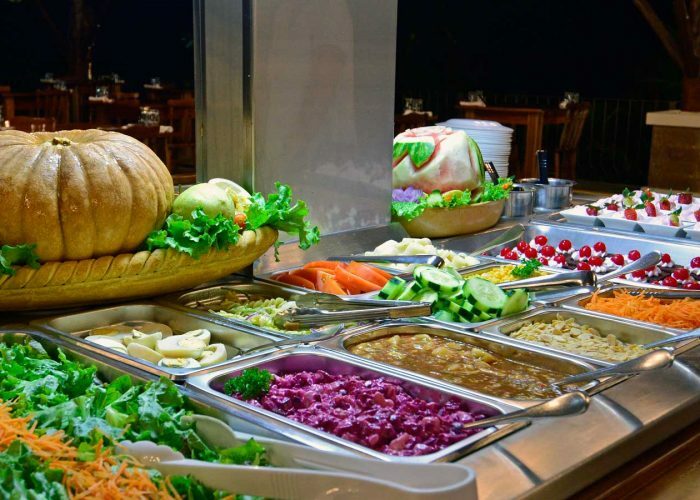 The food they serve is an all you can eat buffet style restaurant that has amazing and delicious international food, salads, drinks and desert- all to be included in the price. 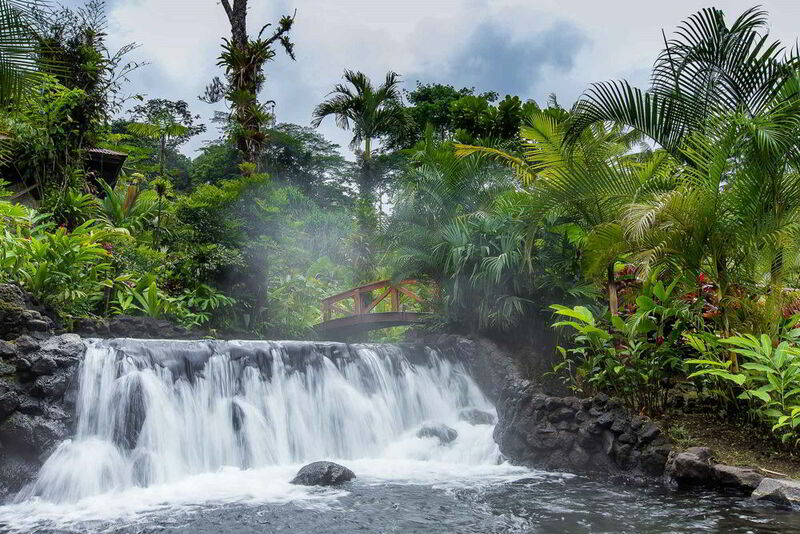 Tabacon Hot Springs is one of the pricier and most famous hot springs in La Fortuna. 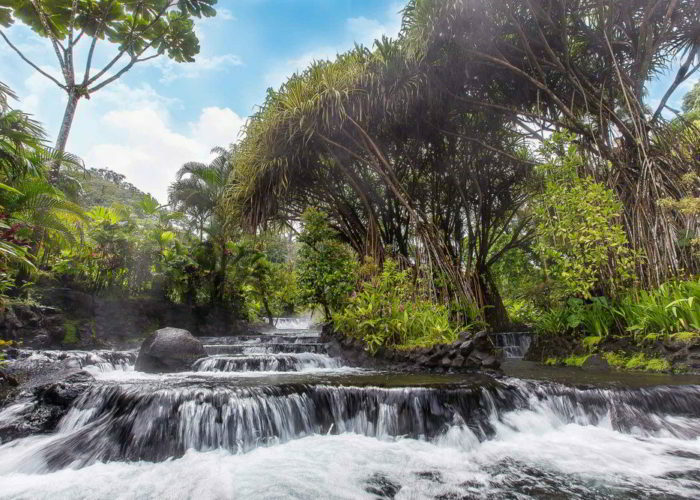 But you pay for everything you get as this place is breathtaking and will honestly leave you speechless. 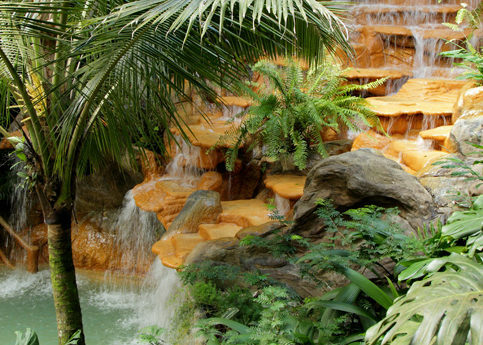 This 5 star hot springs resort offers several natural springs and waterfalls of varying temperatures. 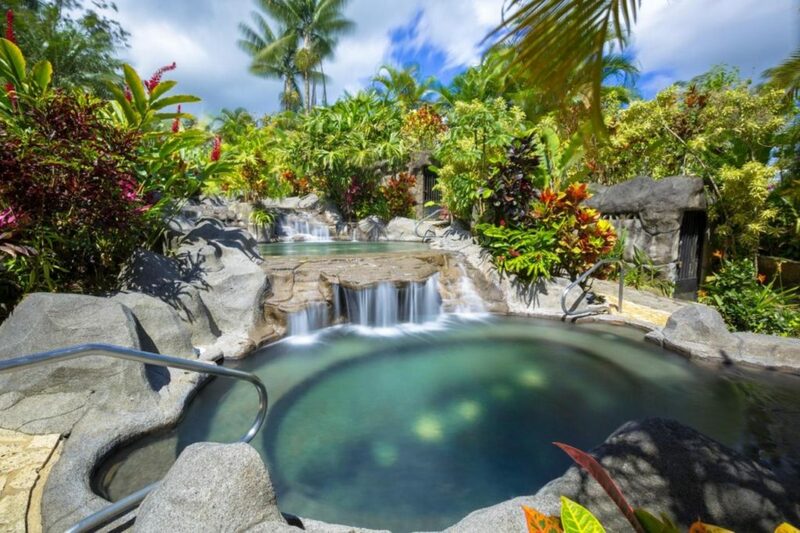 There are hot pools and cool pools in a beautiful natural tropical setting. 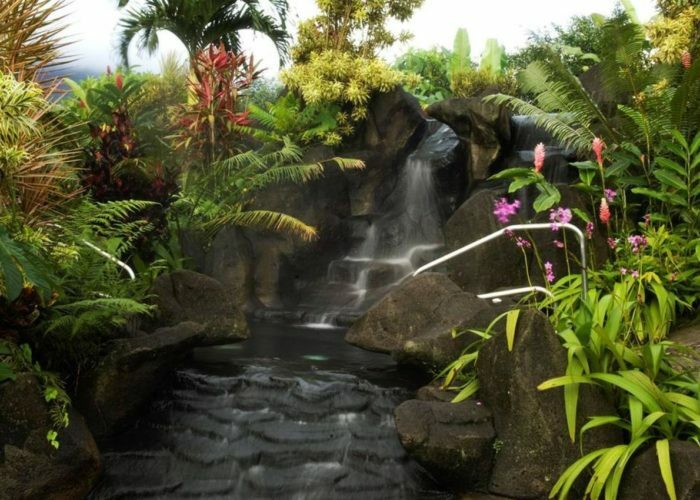 There are also natural streams with hot water to relax in. 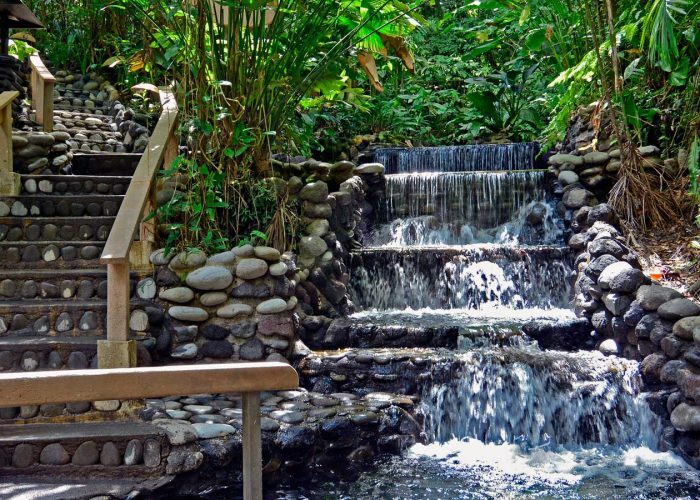 In total, there are five different springs that exist throughout this simple amazing property, with temperatures ranging from 25 degrees Celsius (77 degrees Fahrenheit) to 50 degrees Celsius (122 degrees Fahrenheit). 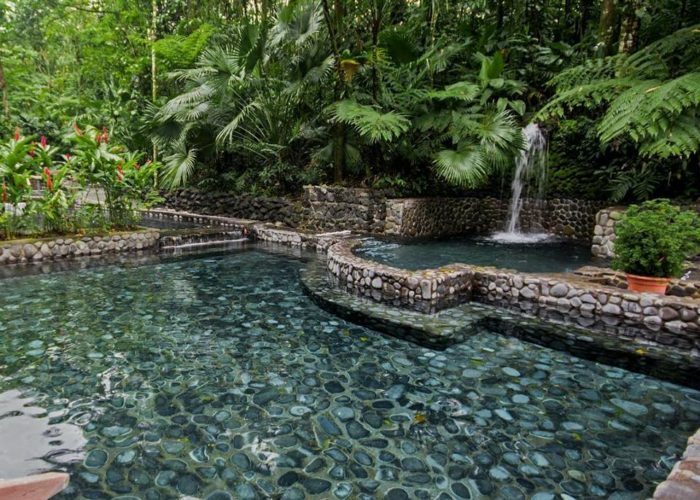 There are two main areas to the thermal river that flow through the gardens, and one cold natural river that flows down from the rainforest in the back area of the property. 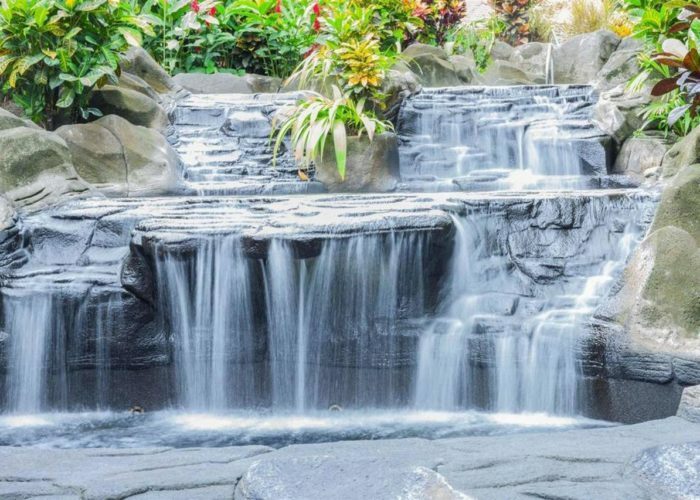 Like other hot springs water parks you can simple pay the entrance fee and enjoy all they have to offer, or you can have a package deal including all you can eat buffet style lunch or dinner. 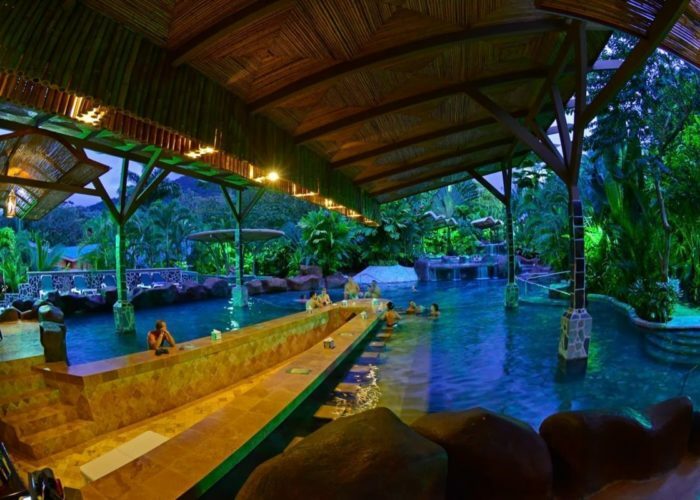 Eco Termales hot springs are the smallest of the La Fortuna hot springs facilities. 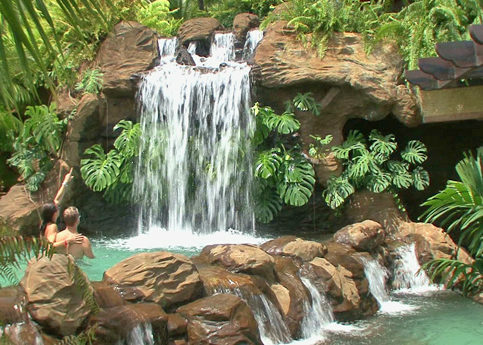 It has four pools of varying temperatures and one with a waterfall. 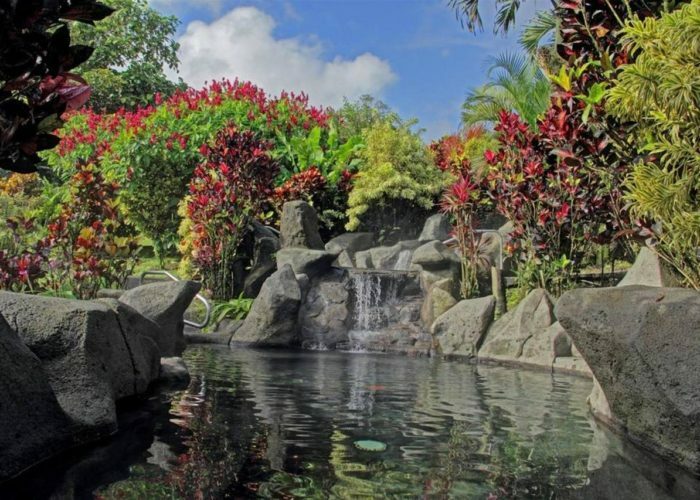 These are natural pools and the surrounding gardens are beautiful. Entrance is limited to a 100 people at a time to allow for more space and privacy – so a reservation is essential. Dinner or lunch is available as an add on. From 5:00 pm to 9:00 pm. 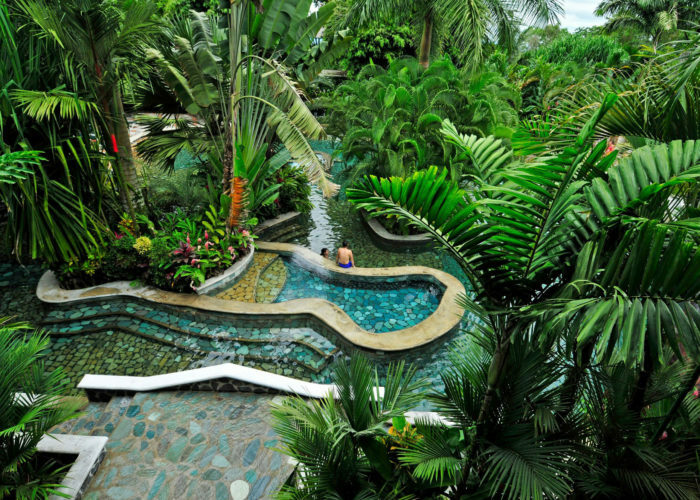 Paradise Hot Springs are located at the base of the main hotel building. 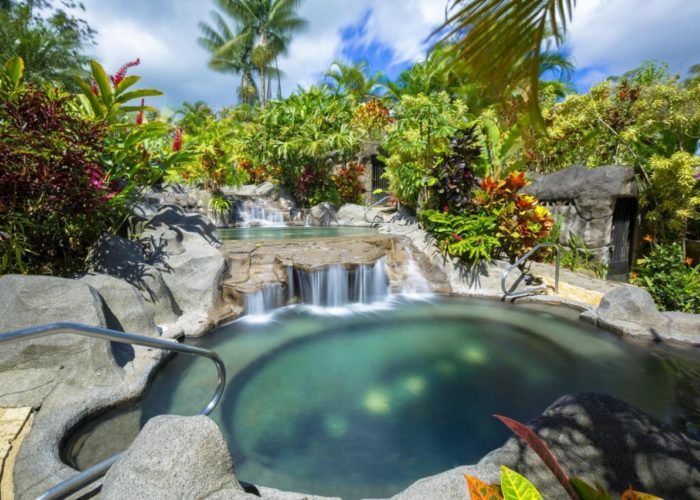 These 12 hot and cold large and small free flowing pools ranging in temperature from 83 to 103 degrees and are surrounded by lush tropical landscaping and sitting areas. 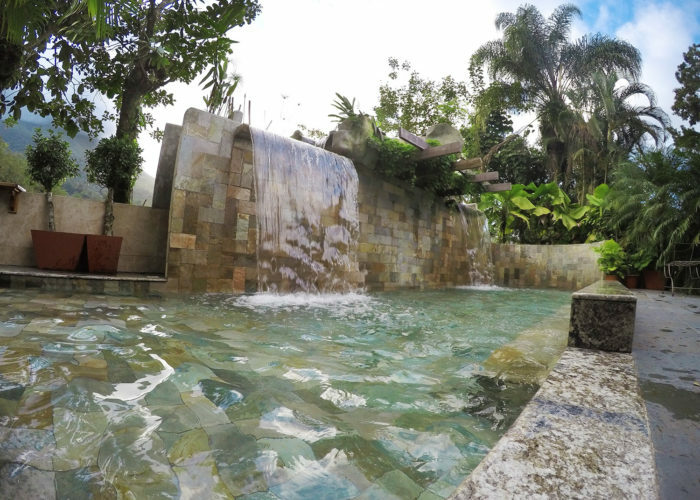 The Paradise Hot Springs has a wet bar available for guests wishing to quench their thirst and enjoy a tasty beverage. You can add lunch or dinner to your package and enjoy a meal at the amazing restaurant they have onsite. 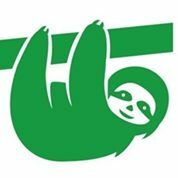 There is a $10 deposit for towels and a $5 charge per lockers. 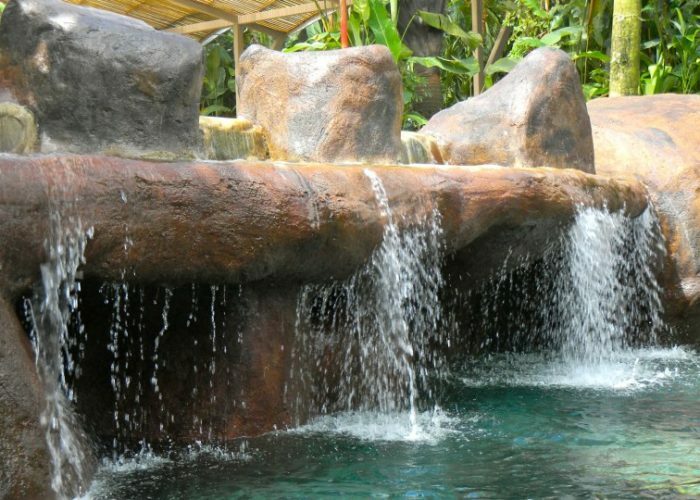 The Springs Resort and hot springs offers day passes to use their hot springs. 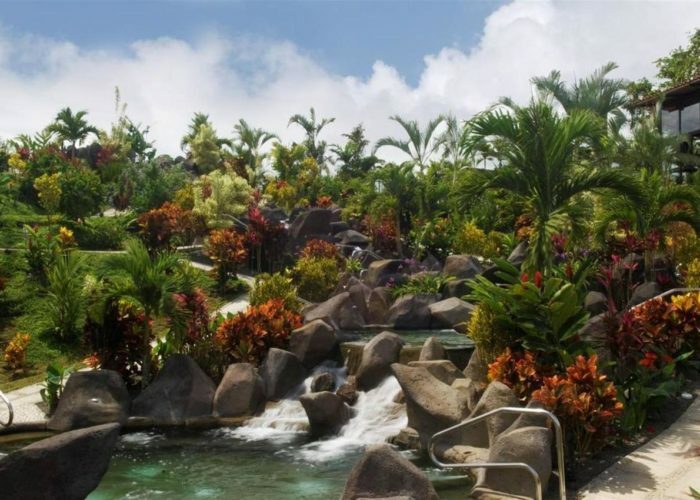 There are 18 different pools of varying temperatures as well as 2 water slides set amongst beautiful tropical gardens. 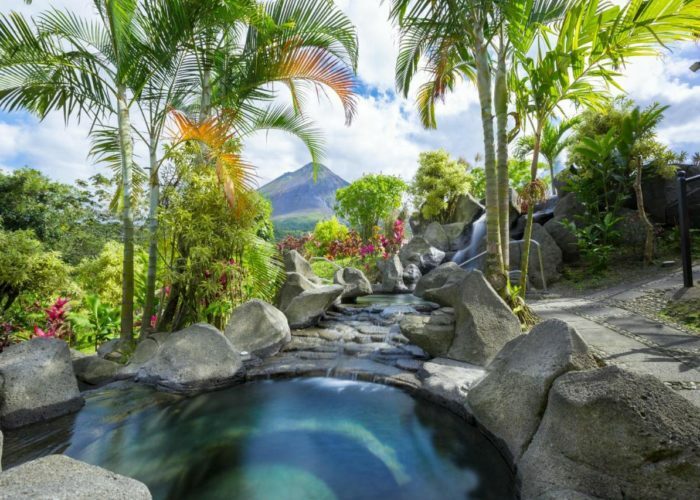 Don’t miss out on the breathtaking infinity pool overlooking 22the volcano. There is also an animal sanctuary here. 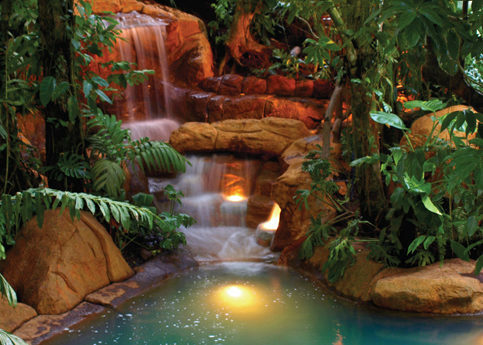 The Springs resort is truly a peace of tropical paradise. 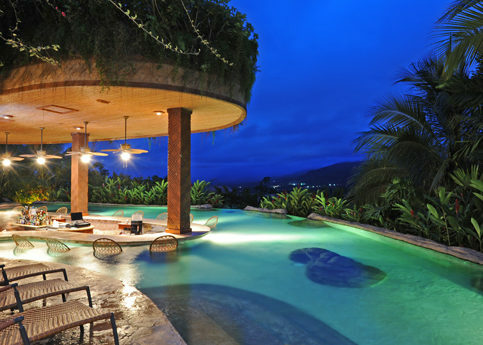 You really will be blown away by the absolute beauty of this property and the facilities they offer. You may arrive anytime after 10:00 AM in the morning and stay until we close at around 10:00 PM. 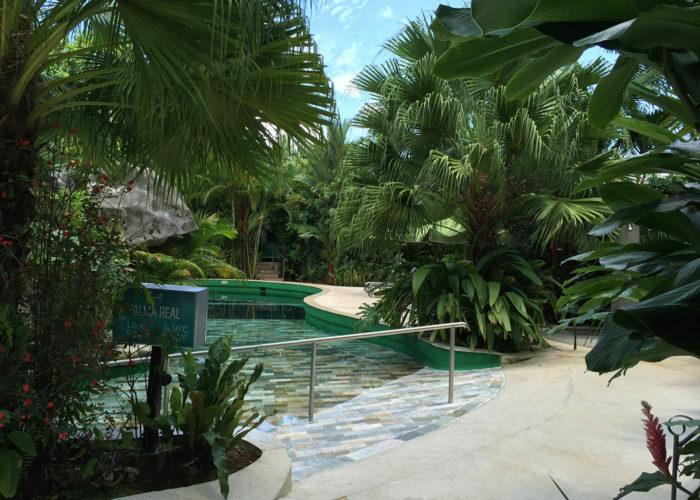 Guided tour of our Wildlife Preserve is included with the day pass. You can either pay the entree fee and use the facilities as much as you wish, or add lunch or dinner to the package. 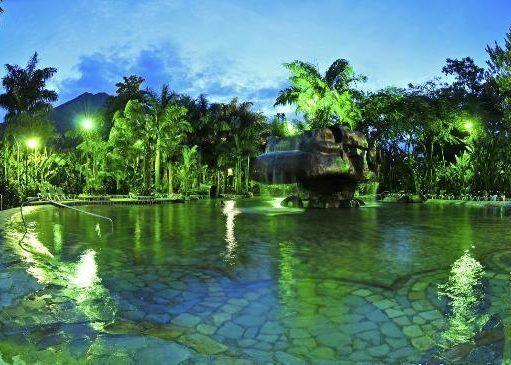 Titoku Hot Springs have many pools that are surrounded with lush tropical gardens, that at night are lit with colourful ambient lights to create a breathtaking coloured tropical garden. On site facilities include a full service bar, indoor and out door seating, showers and lockers in each of the changing areas. 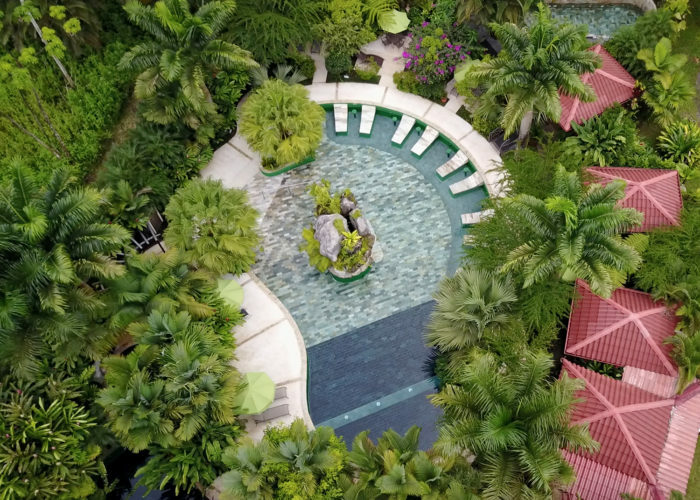 The entrance and meal options are available at each of the 3 time slots and guests can choose from a menu that includes salads, fish, grilled meats, hamburgers, nachos and sandwiches. To reserve any of the options, please send us the information through the form at the end of the page. The date of the service is very important and if you have children the ages of each one. 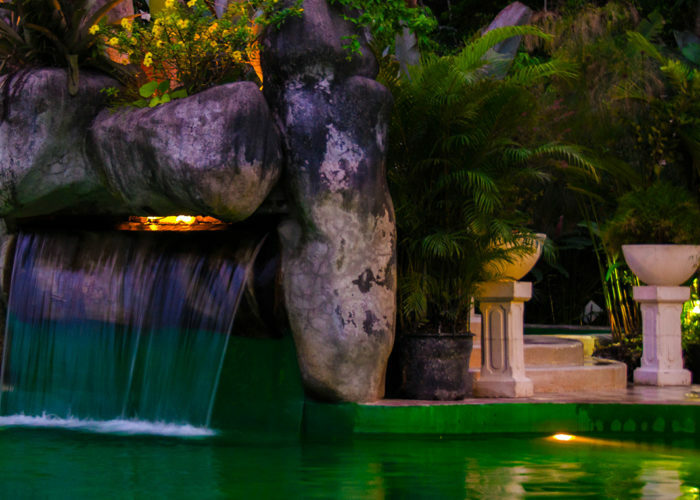 We will contact you back with the details of your reservation and payment options.